My name is Qianying Yin. I am the newly elected President of Chinese Culture Center serving the 2015-2016 Term. I have lived in the Hartford area since 1998. I am a dentist working in West Hartford Dental PC after graduating from BU Dental School. 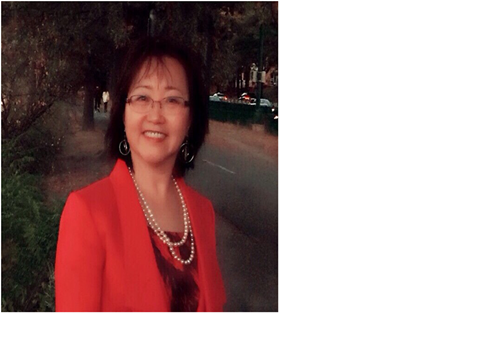 I have been an active member of the Chinese community and was involved in the establishment of the pilot program, the predecessor of Connecticut Chinese Language School (CCLA). I served as a parent representative, administrator, and the leader of the registration team for 7 years during which my two children studied Chinese in our Chinese school. I am honored to be the CCC President and to serve our community in this new capacity. 2015 CCC new board director election was completed through the re-election. Newly elected board members are: Yunfang Dong, Changying Jones, Baikun Li, Haiyun Li, Jing Ma, Shan Peng, Shuning Zhan, and Xun Zhu. It is my honor and pleasure to welcome our new board directors and also I would like to take this opportunity to thank all of you for your support and understanding during the CCC new board director election and re-election. 2. Fund raising: United way is our primary fund raiser. We will promote donations through this source and also leverage and encourage corporation and individual donations. 3. Promote CCC and CLA: Dragon boat festival and gala will serve this purpose. We need to have a good team to work on the program and booth. Also we need to be excellent to stand out. I think we can do it. 4. Budget: We have to balance our incomes and expenses. We have to support our school. Gala is getting very expensive. We will continue to work with CI and other professionals to deliver an excellent show to our members every year. 5. Member benefit: Autumn moon festival and Karaoke, summer picnic and Christmas dance party were provided last year. We may make some adjustments to these activities due to budget deficit and low participation. We’d like to hear from you if you have any comments or suggestions. 6. Investment: We will work with our treasurer to conduct investment in accordance with our board agreed investment risk tolerance level. The investment should be good in long term. In short term it can go up and down. 7. Member meeting: We are elected board members. We strive to represent our members. We did not have any member meeting last year except the annual meeting. I’d like to see a change. We will have one or two meetings so we can hear from you. 8. Professional network: Yi did a good job in the past. Last year we did one or two and it was interesting. We need to work on it and bring the interesting topics to discuss. We have outstanding women on our board and in our community. Definitely we can do more to provide information to our members. Baikun will take the lead in this effort. 9. Rules and regulations: We are a nonprofit organization. We come here in good faith to serve our community. No one should seek personal financial gain from the volunteer job. But we have to follow the rules regardless of what position we are. Bylaw is our bible. We cannot change the rules back and forth. Such changes can cause unnecessary confusions and frustrations. Finally, financial rules have to be followed. All expenses need to be authorized and the receipt is a must for reimbursement. Chinese Culture Center has served the Chinese community since 1980. We are a non-profit, volunteer-driven organization dedicated to serving the needs of Chinese community. Our team will continue to play a leadership role in promoting Chinese language education to our children and cultural exchange with others. Your support and encouragement are very important to us. Together we can make our community a tremendous one. Please feel free to contact us with questions, ideas or suggestions at info@ccc-ct.org We look forward to hearing from you.